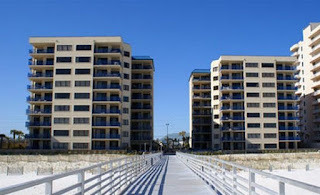 Four Seasons condos in Orange Beach are located in the heart of the city, convenient to shopping, dining and entertainment. This well-maintained community has the state's only private fishing pier in the Gulf of Mexico - the pier is approximately 100 yards long, providing for fishing in deeper water. This gated, gulf-front property is low-density and ideal as a second home or permanent residence. Situated on the emerald waters of Alabama's Gulf Coast, Orange Beach has a subtropical climate and miles of white-sand beaches and access to the interior waterways north of the popular beaches. Visitors can also enjoy a lengthy list of other attractions including Adventure Island, deep-sea fishing, numerous area Golf Courses, the Alabama Gulf Coast Zoo, Waterville USA, The Wharf and more. Enjoy the many popular Orange Beach restaurants like Voyagers, Cosmos's, Ginny Lane, Louisiana Lagniappe, Luna's and more. 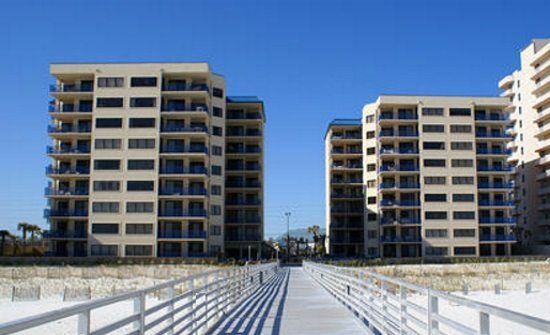 There are many lodging options in Orange Beach as well - from vacation rentals by owners to luxury beach hotels, there's something for everyone. Whether you’re ready for fun and adventure, a carefree day on the beach, or tasty cuisine - you can find it all on Alabama’s Gulf Coast.